Britain may have another gold medal to add to their haul when they attend the next Olympic Games in 2020, after it was announced that climbing is set to be included in the next games in four years’ time in Tokyo. The International Olympic Committee (IOC) officially announced on the eve of the Rio Olympics that Sport Climbing will be included in the 2020 Tokyo games. 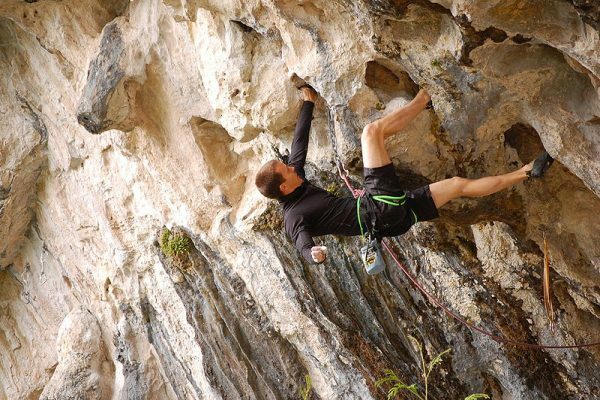 Sport Climbing involves athletes who qualify to compete, from all over the globe, participating in as many as three disciplines, which are; bouldering, lead climbing and speed. It follows several years of lobbying from the International Federation of Sport Climbing who were backed in their efforts by the British Mountaineering Council (BMC). Many in the climbing fraternity are said to be overjoyed at the decision to add Sport Climbing to the list of sports at the games which are sure to be keenly watched, following the monumental success of the British athletes at the Rio Games. If you are looking to go on school residential trips with a group of students from your school who may be interested in giving rock climbing a go, then we are able to cater for anyone who is keen on giving this exciting sport a try, whether they are complete beginners, or have tried it before. You never know, you might have an Olympic champion in your class! Image: Chris under Creative Commons.